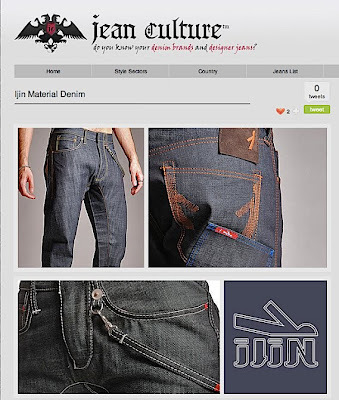 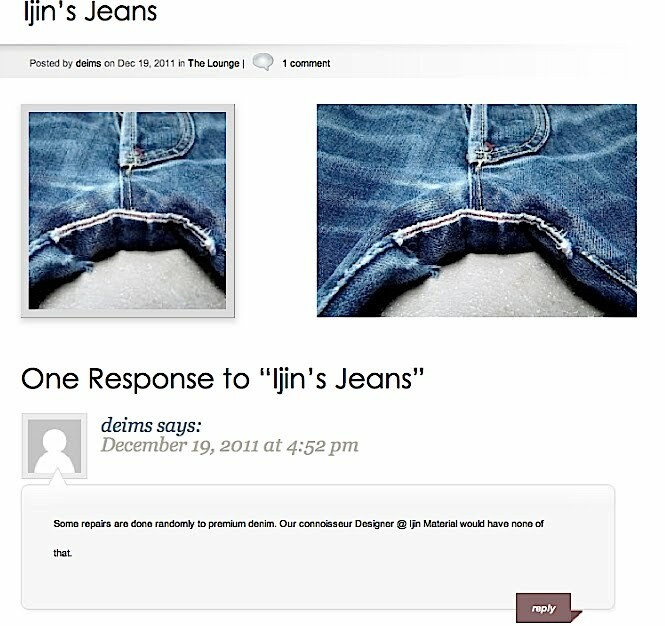 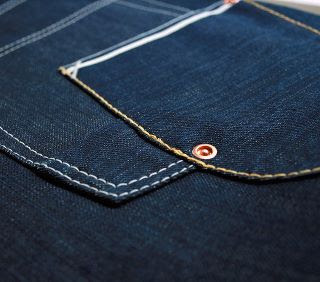 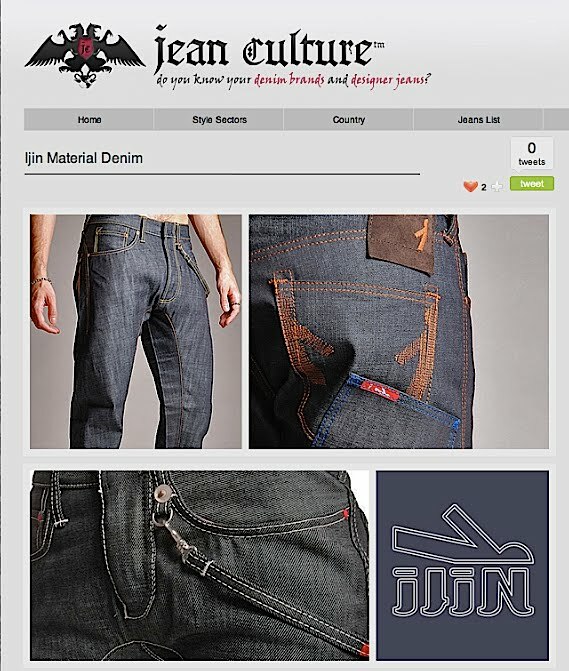 Just in case you didnt know enough about Phil Ijin & his independent denim research label , please read through the new on-line denim directory ,here called Jeanculture. 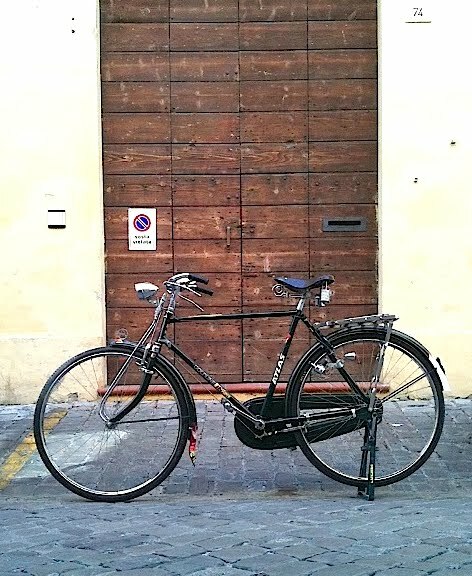 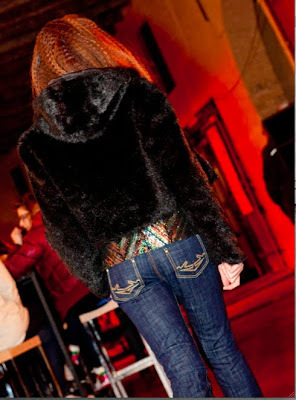 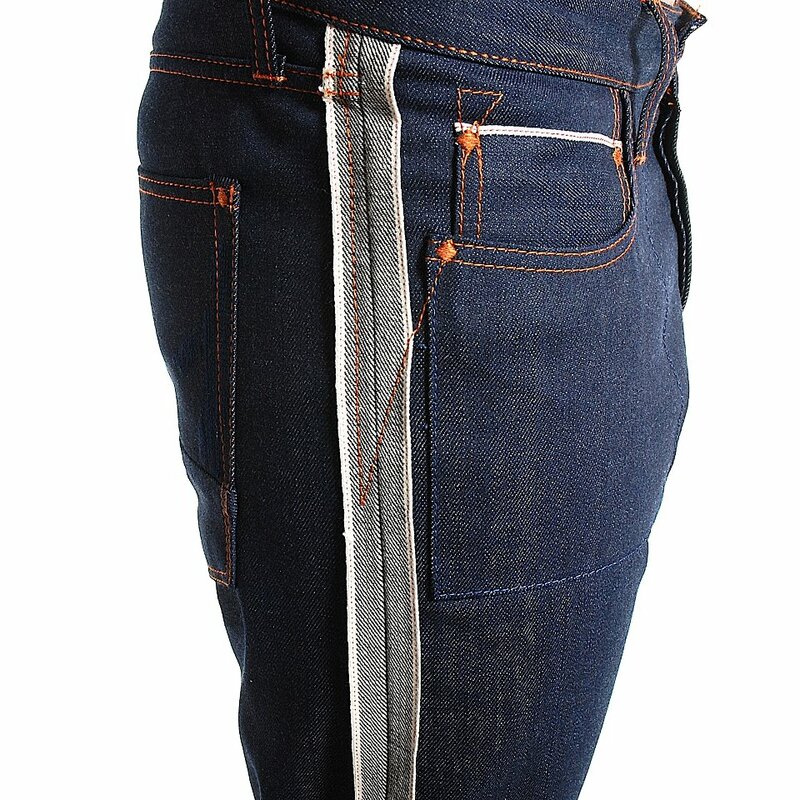 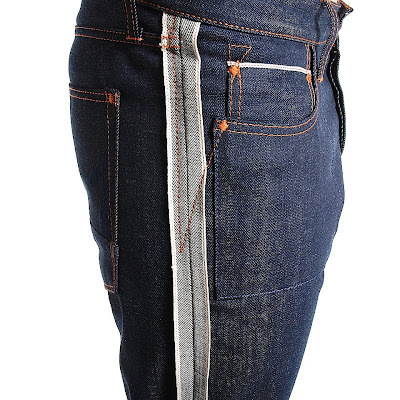 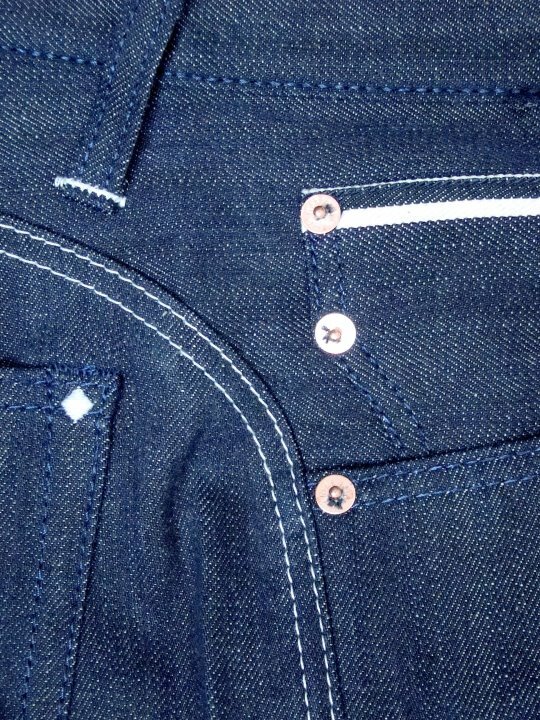 Excellence should always be understated: An example of which is shown here : The Ijin Indigo Bartack. 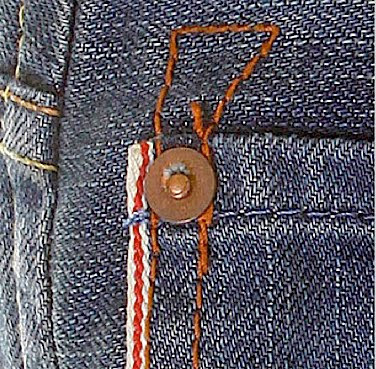 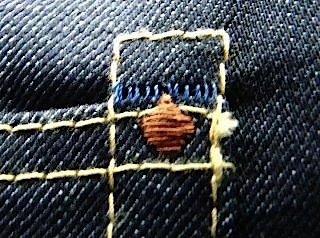 This is the rivet used on the signature Sixth pocket - the overlaid heart back pocket. Not only rope stitched in contrast, it purveys its very own sunken-cap, copper rivet that wont scratch the furniture or your leather car seats. Phil Ijin exceeds in the excellence of sewing selvedge with the Tuxedo Leg & a fully exposed Kurabo red selvedge one & a half inch busted seam, uninterrupted down the full length of the leg.